M4 is renowned for its handcrafted quality and they have not disappointed with this 1:43 scale Alfa Romeo GTA 1600. This is a limited edition being one of 1344 pieces produced worldwide. Please keep in mind that close-up photography is used by Diecast Model Car Sales. Consequently many of the images will reveal dust that cannot usually be seen with the naked eye. Driven at the 1971 Targa Florio open road endurance race around the mountains of Sicily by Rizzo/Alongi this model appeals to many types of racing and Alfa Romeo collections but also would be a great addition for any collector looking for a point of difference in their collection. This is the catalogue of the Diecast Model Expo 2013. It includes in-depth editorials of all the models released at the 2013 event. 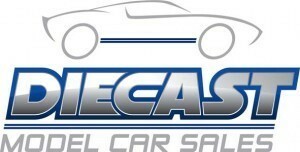 – This is the catalogue of the Diecast Model Expo 2011. – Includes in-depth editorials of all models released at the 2011 event. This 1:64 Scale Model is Limited to 1000 pieces. This Model is produced by Classic Carlectabes. Produced exclusively for the 2013 Diecast Model Expo held on the Gold Coast. This little piece of history is perfect for any Australian motoring collection and will begin the story behind the Car of the Future program!